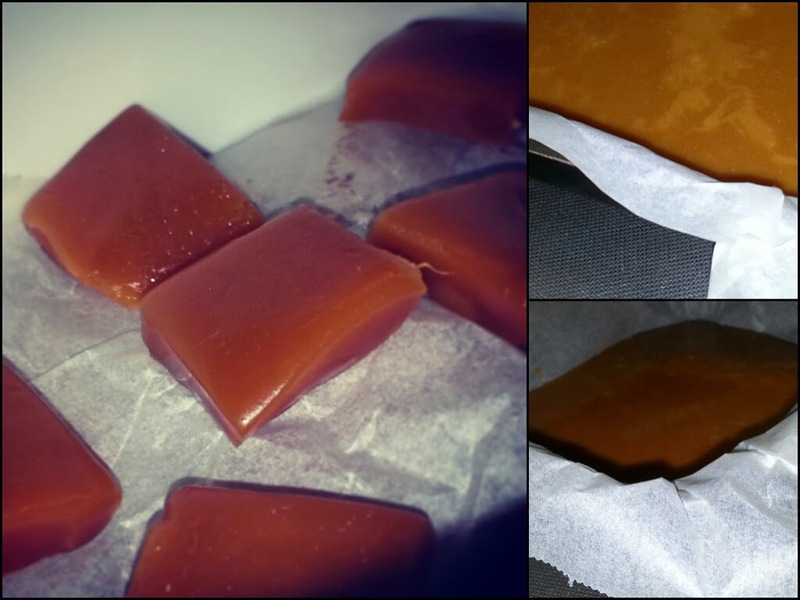 I really like butterscotch - everything from the warm, caramel colour to the sweet scent of it. It's quite a heavy sweet though so it's not anything I can just sit around and stuff my face with. Nevertheless, I made a batch of it for the first time. Cut into optional pieces and serve! 2. Stir in 3 dl of sugar, 2 dl of cream, 1 dl of (light) syrup and 1 tablespoon of vanilla sugar. 3. Boil/stir for at least 15 minutes, then give it the cold water test (use a clear glass, scoop up a bit of the mixture and drop it in the water - you should be able to make a marble out of it without it loosing its shape - the longer you cook it, the harder it'll get).